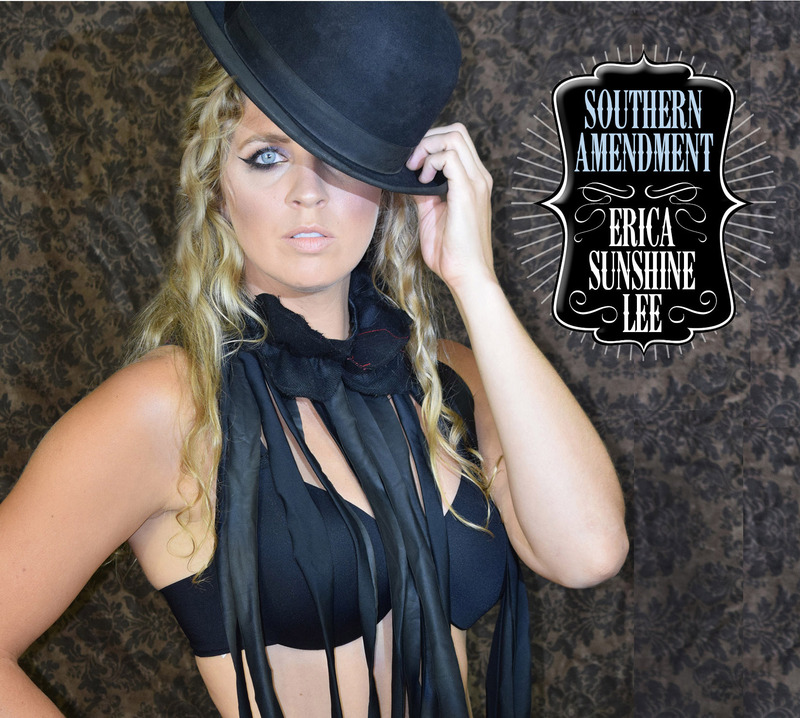 “Southern Amendment” EP by Erica Sunshine Lee was released in 2015. This is her 6th Studio Album to date. Straight away it’s clear an EP like this delivers an imaginative return to classic Americana-Country sung to us by a beautiful female with a girl next door persona. Also present are Country-Pop-driven melodies with the better musical touches of Americana-Pop. Lee reminds me of a cross between Trisha Yearwood and more cutting edge Kelly Clarkson and Miranda Lambert. Citing from her bio regarding this EP: SOUTHERN AMENDMENT contains raw stories about going to great lengths to protect what’s yours, whether it’s your lover, your home or yourself. This album has interwoven morals of redemption and forgiveness, and Erica Sunshine Lee’s point of view on staying together, being a strong female, independence as she sets out on the road, and personal insights to how hard it can be to hold onto a relationship, through life’s ups and downs. This southern belle has the right to remain silent, but speaks the truth, and believes in protecting her man, herself, and her belief in God. Today’s music has many people feeling of bit of soullessness – how appropriate I get an EP like this. The album begins in hooky fashion with the magnificent grand slam opener ‘Mud on My Boots” which is a crisp raid on the senses, laden with hooks and impressive vocal delivery from Lee. The only surprise is that it wasn’t a single, as it is radio friendly of the highest order. ‘Another Sad Love Song” follows and is a pleasant journey through a wise life lesson. The harmonies beautifying what could have been a stark number. ‘Girls With Guns” is another standout track for sure and should be a single and is an exceptional Americana-Rock Bar sing-along song showcasing superb song writing/playing by Lee and company. In the end Erica Sunshine Lee is a real breath of fresh air and a shock to everyday musical system presently in place. In summary “Southern Amendment” delivers everything you would expect, and is in itself a great advent to her catalogue. Out of the whole album, 2 songs are in the category of brilliant, 3 of them are good, and none skiping in rotation. I wouldn’t be surprised if Lee’s popularity continues to grow as this year unwinds.